In March, I was fortunate enough to see the première of Collage , which was to be James Horner’s last concert work, at the Royal Festival Hall. At the end of the performance, the composer came on stage to take his bow, the same smiling, bearded gentleman as in the pictures accompanying his many obituaries this week. Appropriately for someone with the name Horner, the work was a concerto for four horns. The composer had once played the instrument himself, and had known the soloists for this concert for over 20 years. Collage was a great piece of orchestration, although perhaps sounded like film music transplanted into the concert hall. Towards the end, it features the tinkling Titanic watery effect. That begs the question: was Horner a one trick wonder? The Titanic soundtrack is still the best-selling orchestral soundtrack of all time. It reached the top of the pop album charts – Henryk Górecki only managed number 6 – and My heart will go on , one of many movie songs Horner penned with lyricist Will Jennings, scored a number one hit for Celine Dion. But remembering James Horner only for Titanic and the perhaps thematically similar scores for the likes of Avatar and The Perfect Storm doesn’t do him justice. He wrote such a wide range of music, many people won’t realise some of the soundtracks are by Horner at all. I was certainly surprised to read a list of his compositions. James Horner’s output ranged from more tender scores such as Iris and A Beautiful Mind to bombastic sci-fi soundtracks for the likes of Star Trek II: The Wrath of Khan and Aliens . It also included films as diverse as How the Grinch stole Christmas , Field of Dreams and Patriot Games . When approached to do the Star Trek sequel, he was apparently told the studio couldn’t afford to have Jerry Goldsmith back. He also succeeded Goldsmith in the Alien(s) franchise, this time with long-term collaborator, director James Cameron. The experience nearly led to the pair falling out, a story repeated in other famous director–composer partnerships such as Hitchcock–Herrmann and Burton–Elfman, although happily not ending as acrimoniously as the former, as then we may never have had Titanic . 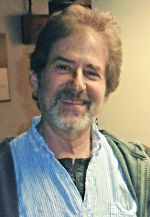 Although born in Los Angeles, James Horner spent much of his childhood in London, and studied piano at the Royal College of Music. He returned to the US and completed his bachelor’s and master’s degrees and doctorate in California. His grounding as a serious composer is evident in his scores. He composed at a desk with pen and paper, and unlike many film composers, did most of his orchestrations himself. The result is a much more colourful orchestral palette in his scores than perhaps in the soundtracks of some of his contemporaries. A recent revelation in an interview was that Horner was originally asked to write the music for the Lord of the Rings trilogy. He told interviewer Tommy Pearson that he was asked to do “the trilogy”, to which Pearson jokingly asked which trilogy he meant. Horner declined to work on the films as his daughter had recently undergone surgery. Horward Shore was chosen instead, and went on to win three Oscars. Horner commented that he would have approached the films differently, but that Shore’s music does a brilliant job in the films. The fact that, despite all of this, he said he didn’t regret his decision to turn down the films says more about him as a person than any analysis of his music ever could. Happily, with many of the films he worked on set to become classics, audiences will enjoy James Horner’s music for generations to come, and his name will always have its place among the greats of film music.